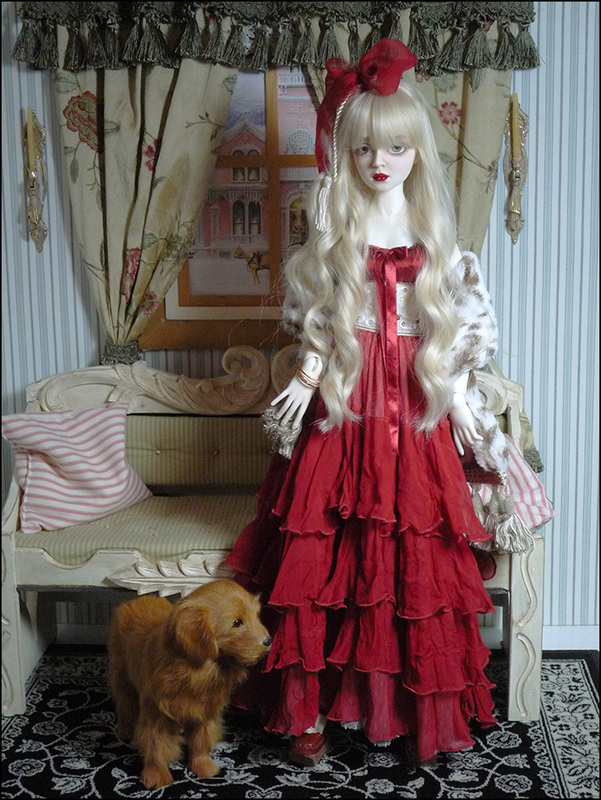 This doll will be for sale Saturday - March 8 at 3:00 pm EST. 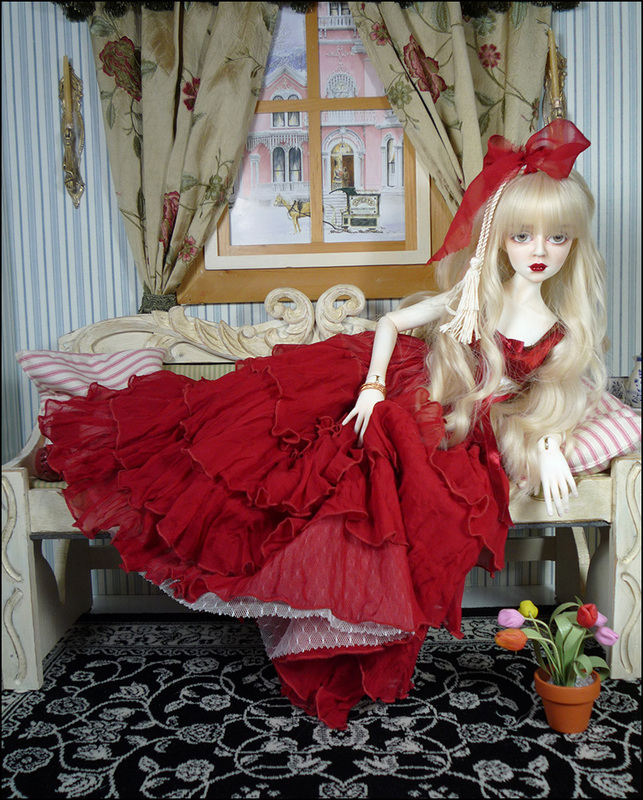 Tessas dress is silk chiffon with four flounces on the skirt. It has a netting underskirt. 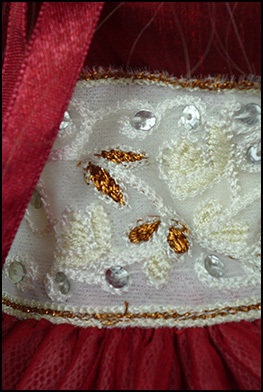 The waist band is embroidered ribbon. 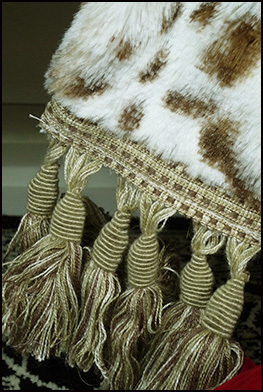 Her stole is faux fur with tassel trim. 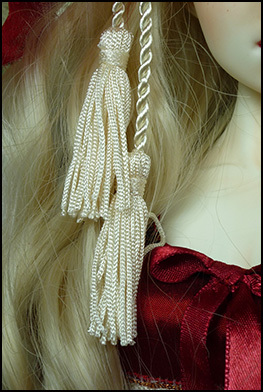 In her hair she wears a chiffon ribbon and a tassel tie. 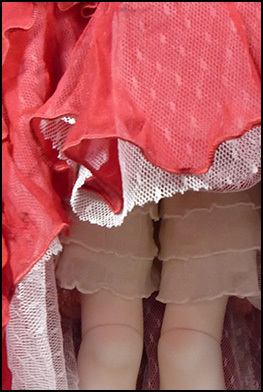 Her bloomers are a stretch frilled fabric. 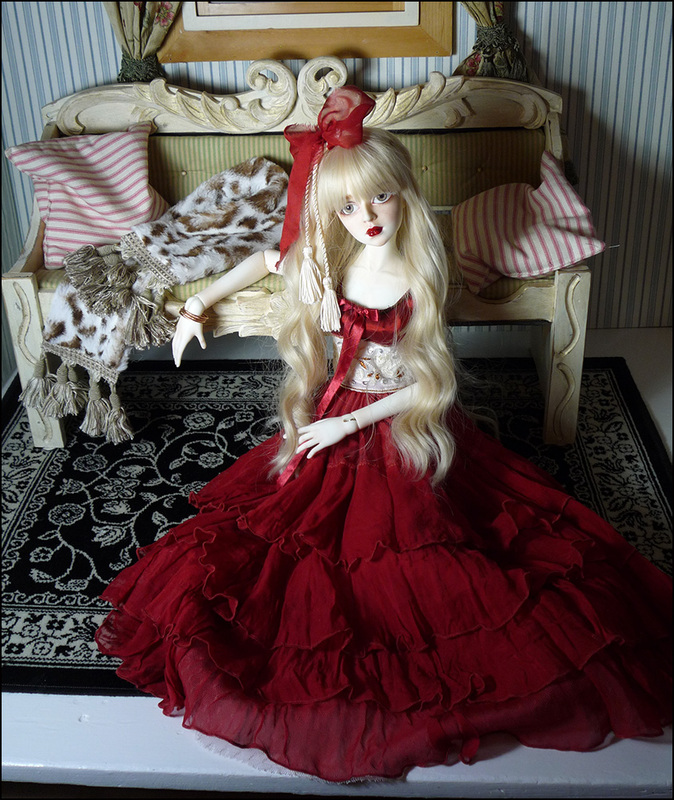 On her wrist she wears three copper bangles .Her wig is from "For My Doll" and her eyes are from "Eyeco"platinum series.